Home English News Penang or Negeri Sembilan, which will be Anwar’s choice? Penang or Negeri Sembilan, which will be Anwar’s choice? 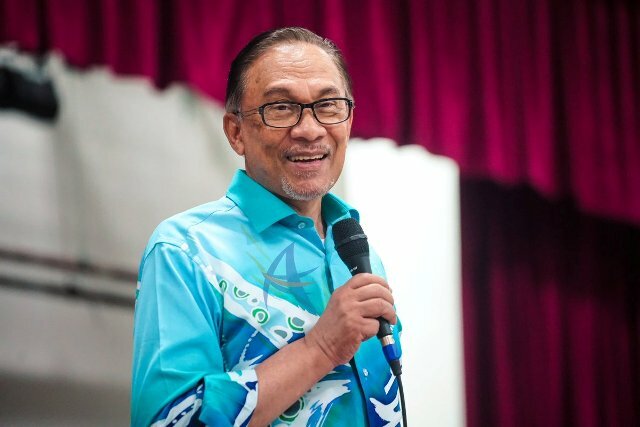 GEORGE TOWN – Nibong Tebal, Permatang Pauh, Pandan and now the latest Port Dickson are among the Parliamentary seats being considered as the choice for PKR president Datuk Seri Anwar Ibrahim to contest in the move to become the eighth prime minister. Two of the seats are in Penang, one in Selangor which is now held by Deputy Prime Minister Datuk Seri Wan Azizah Wan Ismail and now the latest is in Negeri Sembilan. 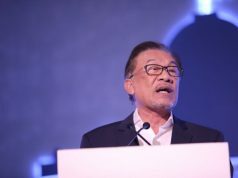 Talk on the seats to be contested by Anwar hots up following news that there will an official announcement by PKR secretary-general Datuk Saifuddin Nasution Ismail tomorrow. Earlier, there was word that Anwar would be standing in Nibong Tebal, Penang which was his home state when he began political career. Nibong Tebal is now represented by Penang PKR chairman Datuk Mansor Othman who won in general election with a majority of 15,817 votes while Permatang Pauh is a stronghold of the party is represented by Anwar’s daughter Nurul Izzah with a 15,668 majority. However yesterday, Mansor denied he would be giving up the Nibong Tebal seat to give way to Anwar and prior to that, Saifuddin was reported as saying that Anwar would not be contesting in northern states. Today Saifuddin also denied Anwar would be standing in Pandan parliamentary seat. Saifuddin who is also Domestic Trade and Consumer Affairs Minister said the seat chosen by Anwar would be the safest based on studies as well as the previous results. Universiti Sains Malaysia political analyst Prof Dr Sivamurugan Pandian said if Anwar chooses Penang, the most ideal seats would either be Permatang Pauh or Nibong Tebal and if it is outside of Penang, several demographic and geographical factors would have to be taken into consideration for the seat selection. He said that if the seat was outside Penang, one should consider if Anwar was required to be the deputy prime minister before becoming prime minister, thereby the need to sacrifice Wan Azizah even though she had previously being reported as she would not be doing so. “This will also end the story of nepotism. Nonetheless, the most popular leader now is Datuk Seri Dr Wan Azizah and if she were to vacate her seat, there would be an effect on the number of women representatives,” he said. He said other considerations would be on leaders who were now holding both state and parliamentary seats as it would minimise the impact of leaders losing their seats and were still able to serve the people. Sivamurugan also said PKR could consider seats in which the incumbents were no longer interested to serve and wanted to concentrate on their profession or business. “But all these should be thought out in terms of demography and geography as well as to avoid the issue of nepotism and cronyism as the seat was for the “PM in Waiting” and it had to ensure easy victory for him. If the ethnic composition is like Nibong Tebal, it would reflect the national population as well. “While many are offering their seats, some are outright reluctant to give in to the man who would be made prime minister,” he said. Some strong political observers said Anwar would be returning to Permatang Pauh and Nurul Izzah would give way and in return she should be contesting in a Penang state seat. However the situation brings along the risk of having two by-elections and Nurul Izzah would not be allowed to contest a parliamentary seat for five years from the date of her resignation. According to Article 48(6) of the Federal Constitution, no members of the Dewan Rakyat would be allowed to contest in the election within five years from the date of her resignation. However, Nurul Izzah is able to contest for a state seat. All the seats mentioned earlier had been denied by the PKR secretary-general, now the only one left is Port Dickson in Negeri Sembilan which is still in question. Previous articleதமிழ்ப் பள்ளி மாணவர்களுக்கு இலவச தேர்வு வழிகாட்டி – ஆட்சிக் குழு உறுப்பினர் சண்முகம் வழங்கினார்!